With so many talented artists concentrated in one place it was very easy to find items for Craft Juice Tuesday. The difficulty started when I had to choose which items to feature. 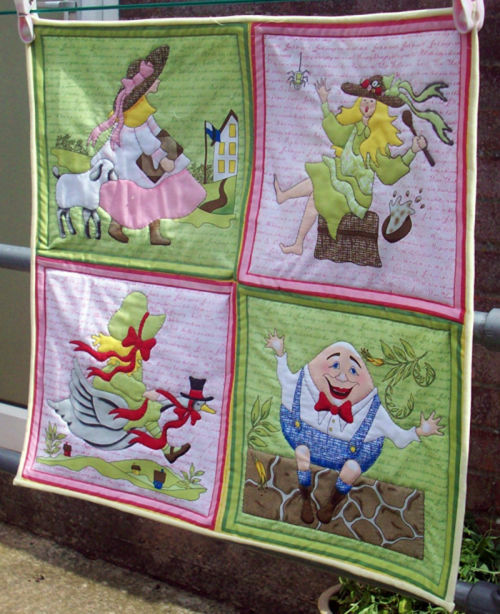 I adore this magnificent hand quilted nursery rhyme wall hanging by handmadewithlove; what a wonderfully unique gift for a new baby or for a toddlers birthday. It’s sure to enhance a little ones bedroom and is available in both girls or boys version. 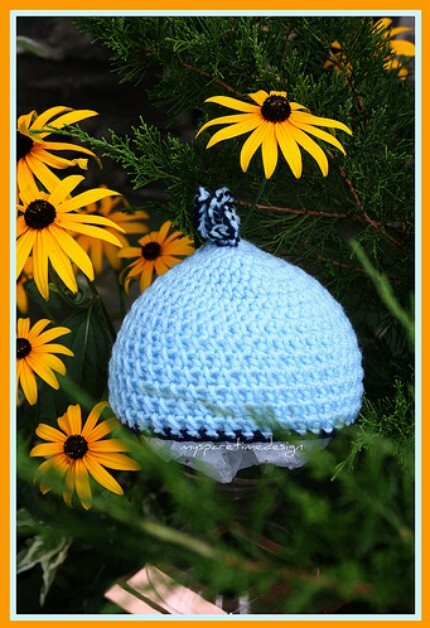 This hand crocheted blue baby beanie by mysparetimedesign is perfect for keeping your newborn baby’s head warm. 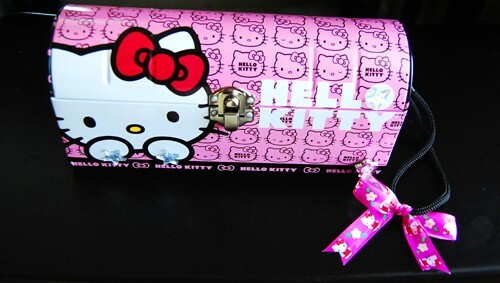 If like me you love hand crafted gifts then pop over to Craft Juice, there’s a wide variety of unique hand made goodies just waiting to be discovered. Also don’t forget to visit our on line baby store at http://www.prem2pram.co.uk where you will find unique appliquéd baby clothes. 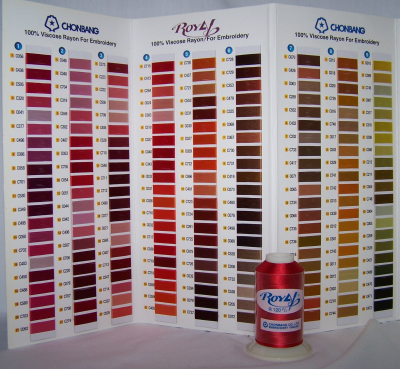 I have once again been looking at the various different brands of embroidery thread and found that very few companies offer a swatch card. Whilst this isn’t a problem if you purchase your thread from a physical store it can be a nightmare if like me you purchase the majority of your thread on line. Some companies offer a printed colour chat, however the quality of the printing will affect the results of the chart, quite often these printed charts do not match the actual thread. 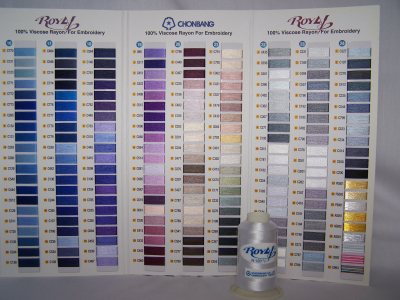 Why is this a problem I hear you saying, well when you look at images of embroidery thread you will see a vast choice of different shades, however the image you see might not be identical to the thread, this is because computer displays are not all perfectly calibrated to the same specifications. Every monitor has its own brightness, contrast, and colour levels, and that means an image will look different on every computer you view it on. My advice would be to go with a company that offers a swatch shade card rather than a printed colour chat that way you will be able to physically see the different shades and even match them to existing threads you might already own. 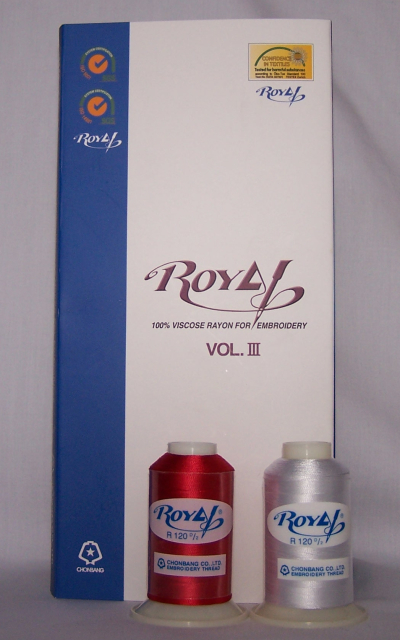 I have just started using Royal Rayon embroidery thread for all my baby clothes embellishment; its 40 high sheen offers optimum sewing performance and a top quality finish. There are 500 different shades to choose from and the choice of 1000m cones or 5000m cops. 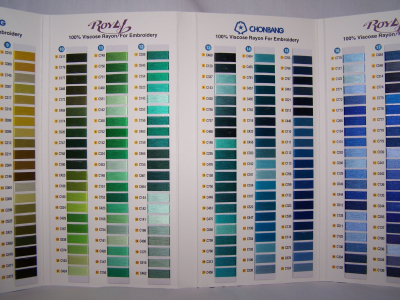 You can purchase a swatch shade card for Royal Rayon from Somac Threads.